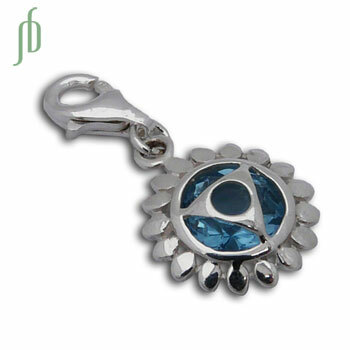 Good vibes throat chakra charm is made of sterling silver and has a turquoise colored cubic zirconia stone. The spring clasp makes it simple for you to use it on your favorite necklace or create your own charm blend. It is part of our charmas, good karma charms collection and can be combined with the other charms to personalize your jewelry.